Welcome back to the blog. In the previous post we looked the the entrance to the Magic Kingdom and how it looked then and now. 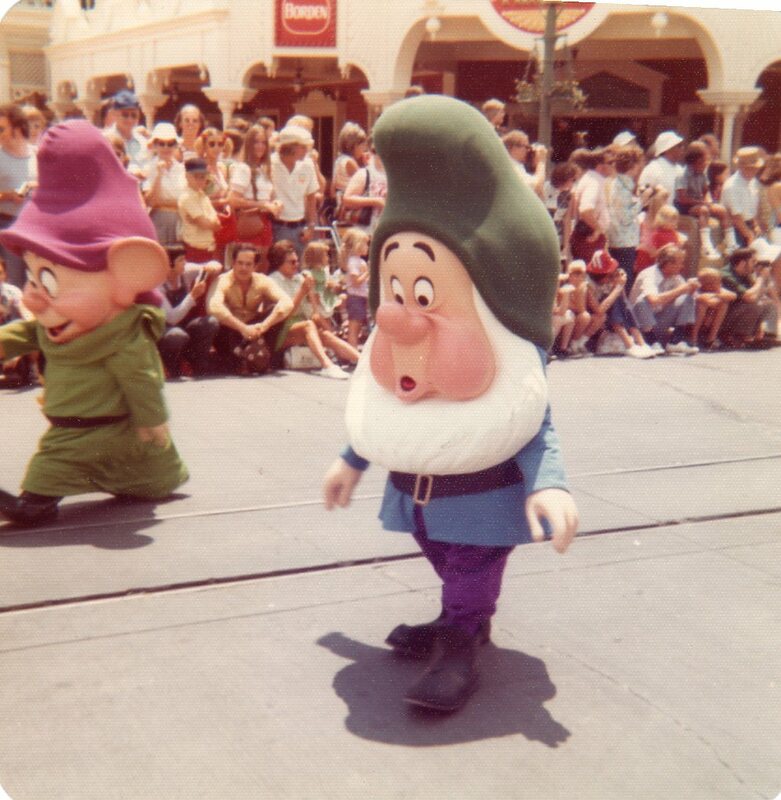 This time we look at the end of Main Street. I have 3 photos of this one place in the park. More than almost any other place in the park (We'll get to the place with the most shortly). 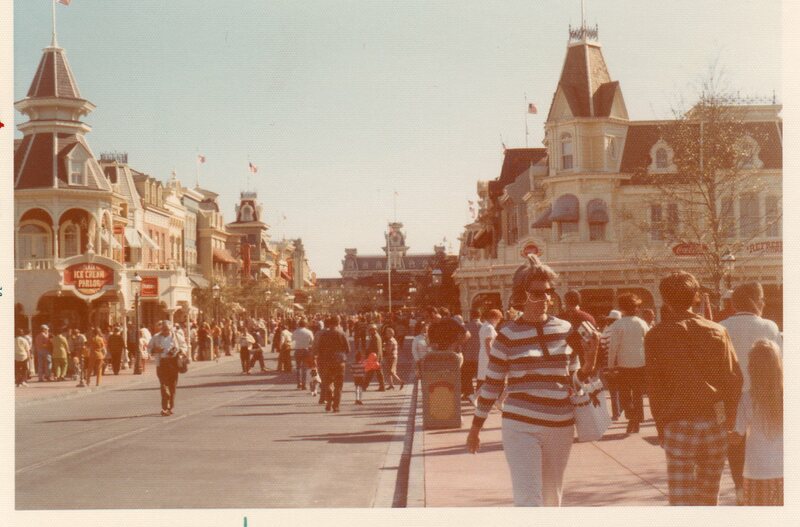 The first picture is looking back down the long corridor called Main Street. The first obvious change is the new fence on the right where Disney has put in a status board giving guests an idea of which attractions are busiest and which ones they could get on quickly. I should have given you a picture of that board as it has one glaring issue. They forgot to post the length of the line waiting to get a Dole Whip at Aloha Isle. The amazing thing is that the signs on the quick service restaurant called Casey's have not changed in 40 years. The trees have grown but there are no longer trees on Main Street itself. Next up is the building across the street Casey's. 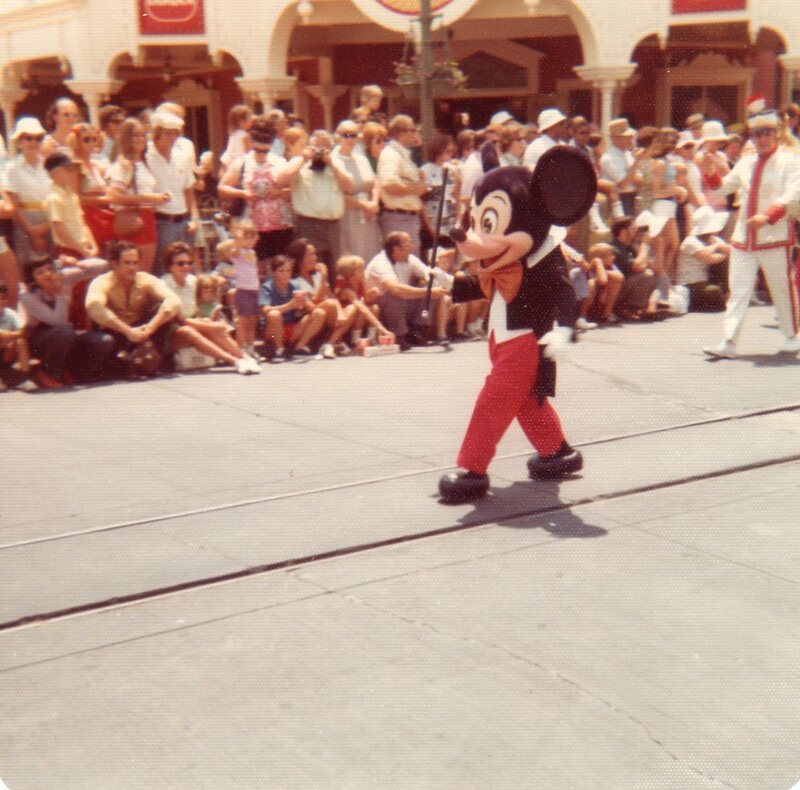 In the original picture to the right you see Mickey walking (something you don't see happen in parades much these days) in the parade, and there is a building in the background that is hard to make out. It took me most of the day to figure out where this was until I looked again at the previous picture and realized that the building on the left side of the picture was the same one in this parade picture, the Borden Ice Cream Parlor. 40 years late it's still an ice cream parlor, but now it is sponsored by Edy's Grand Ice Cream. The building has not changed much, and as luck would have it, as I was taking pictures a parade started. The only thing missing from the parade that went by that day? The dwarves of old that were captured in this picture. Look forward to more in the next post when we journey into Liberty Square.